Shake A Tailfeather * Everybody Needs Somebody * Soul Man * Think * Minne the Moocher * Rawhide * Sweet Home Chicago * Hey Bartender * Flip Flop & Fly * Jailhouse Rock and many more hits from the Blues Brothers and soul universe! 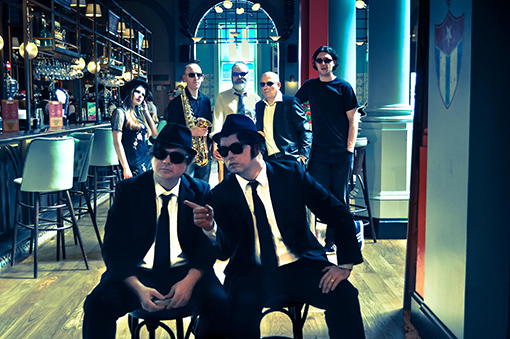 Born in 2017, the NINE-piece Box Car Blues Brothers band hail from Belfast and surrounding boroughs. Bringing you full on rhythm and blues, blues, and soul sounds, with sunglasses on.